Are you looking for a divorce attorney in Bergen County, NJ? 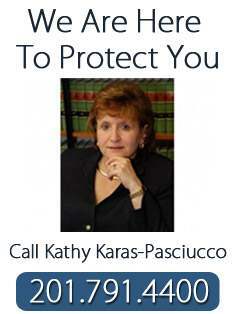 Kathy Karas-Pasciucco of Feitlin, Youngman, Karas & Gerson has been a divorce attorney in Bergen County, NJ for many years. Our divorce attorney can assist you in closing this difficult chapter of your life. Handling a divorce presents a challenging and important task for a lawyer. The breakup of a marriage entails complex emotional, financial and legal considerations, which are unique to each family. With so much at stake, it’s critical for us to take a holistic view of our client’s situation, to ensure that the outcome secures not just the best financial resolution possible – but an outcome that enables family members (most importantly children) to move on with their lives with a minimum of turmoil and distress. We’ve handled many divorces for our clients. We know that every family involved in a divorce is different. The legal and interpersonal dynamics of each situation need to be carefully assessed to determine the best possible legal strategy. When possible we encourage our clients to consider Collaborative Divorce. This means we focus on assisting you in negotiating with your spouse to reach settlement terms in a non-adversarial way. We have additional training in collaborative law and mediation to help minimize the legal wrangling and acrimony so you can work towards a compromise. Collaboration is not always an option. For those situations we turn to our courtroom experience to vindicate our client’s rights, whether that means litigating over custody, alimony or property distribution. In those cases, an important part of our job is to help our clients stay focused while moving the matter along as quickly as possible, to secure a good outcome and bring closure so you can move on with your life. Whether the approach is collaborative, cooperative, or adversarial, we bring a depth of professional experience and personal insight to each family law matter. We are here to be your legal advocate and to provide assistance to those facing a difficult chapter in their lives.